It is sort of like going to war. Climbing aboard the Beachcomber Cruise Catamarans on November 9th 130 athletes of all abilities heading for a distant Bay. Armed with running shoes, pumped up and ready. The battle ahead is firstly with yourself as well as the other athletes of similar abilities. But unlike a war, it’s an enthralling adventure. You will have time to hear the Tui’s singing, smell the honey dew, glimpse the bays you pass and be hugged at the end for fulfilling your dream of finishing. 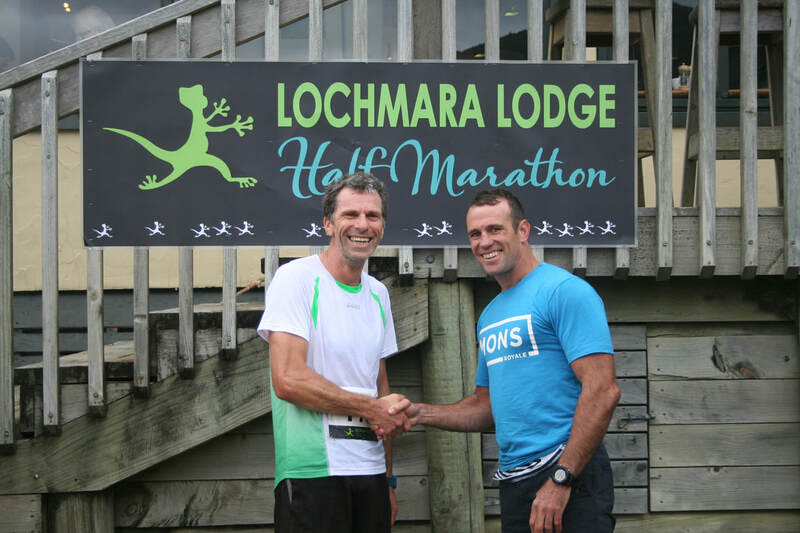 Competitors say “No other event delivers what the Lochmara Lodge Half Marathon does”. The cruise to the start, the on board race briefing, the gorgeous course, the intimacy of a small field, followed by the lunch (at your cost) and the prizegiving prior to the journey home with Captain Tony, sitting top decks, as you cruise back in to Picton Harbour. War over, Goals achieved, Fun had, Friends made. After your 1 hour cruise from Picton on the inner Sounds to Anakiwa (Home of Outward Bound) you will have time for a coffee and a brief walk to the start at Tiromoana. If you are a bit slow or want to do the half at a brisk walk you will start 30 minutes before the “guns of the runs”. You will have the same opportunities to win spot prizes and fun prizes as everyone on the adventure. The podium will be there to celebrate the success of the speed bunnies. What sort of time will it take? Jeremy McKenzie (the winner in 2015) polished it off in 1hr 30 whilst others ran/walked the course in nearer to 3 hours. ​We are here for you with a very generous cut off time of 3 hours 30mins and along the way you may glimpse the The Queen, Captain Cook or perhaps even Albert Einstein. So train up a bit. Pop in your entry for a celebration of the fabulous inner Queen Charlotte Sounds by conquering the course on Saturday November 9th. We are limited to 130 runners /walkers so celebrate the 2018 Spring in style and enter now. 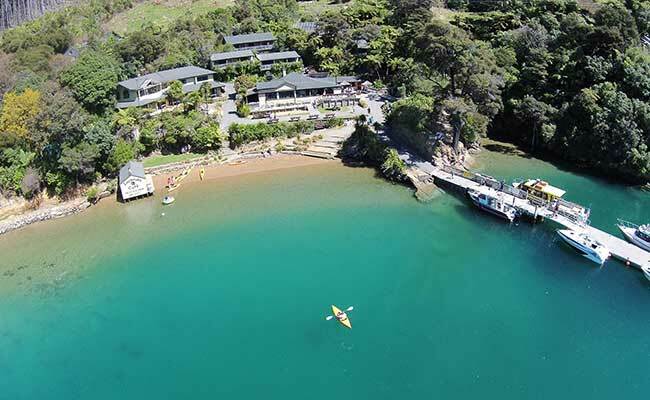 Lochmara Lodge prize giving and barbecue is something not to be missed and you will join the Beachcomber once more to be back in Picton by 2.30. What an adventure!